You’re about to head to work so you get in your car and start it only to see that lovely check engine light pop up. You think so yourself, “Oh great, what could possibly be wrong?”, and unfortunately, you won’t be able to find out until you bring your car to an auto mechanic to run a diagnostic scan. However, common problems that signal your check engine light are usually related to your car’s emission system, which is comprised of several different components. If your check engine light comes on, one of the first things you should check is your fuel cap. A loose cap is enough to signal you check engine light so make sure that it is not cracked and that it is properly tightened. If the problem isn’t related to the fuel cap, it could be related to one of the sensors. The two main sensors that commonly cause the check engine light to come on if faulty are the O2 sensors and the mass airflow sensors. The oxygen sensors are responsible for monitoring how much fuel is burned and how much oxygen goes unburned. The mass airflow sensor indicates how much fuel is needed based off the amount of air coming through the engine. If either of these sensors is faulty, they will need to be replaced. If the sensors are fine, then it could quite possibly be your catalytic converter. The catalytic converter aids your car in emitting cleaner emissions by converting harmful gases such as carbon monoxide to harmless compounds. But for the sake of your wallet, lets hope that the issue isn’t with your catalytic converter as replacement service can be quite costly. 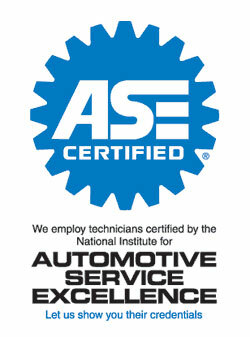 If you need your check engine light diagnosed in or near Venice, call Rolling Auto Service today! Posted in Uncategorized on March 14, 2014 at 7:29 pm by Rolling Auto Service.